Over two hundred years after it was founded, Niagara-on-the-Lake hums to a different tune. Its many attractions include historic sites, the Shaw Festival with its three theatres, the marina, our heritage business district for shopping, golf courses, parks and beautiful farmland, agricultural markets and our world famous Niagara wineries. It’s a short journey back to a more leisurely time – the age of Niagara-on-the-Lake! Come and join us in Niagara-on-the-Lake! Stroll back through history and enjoy world-class theatre, fine dining, shopping, estate wineries, farm markets and historical sites. 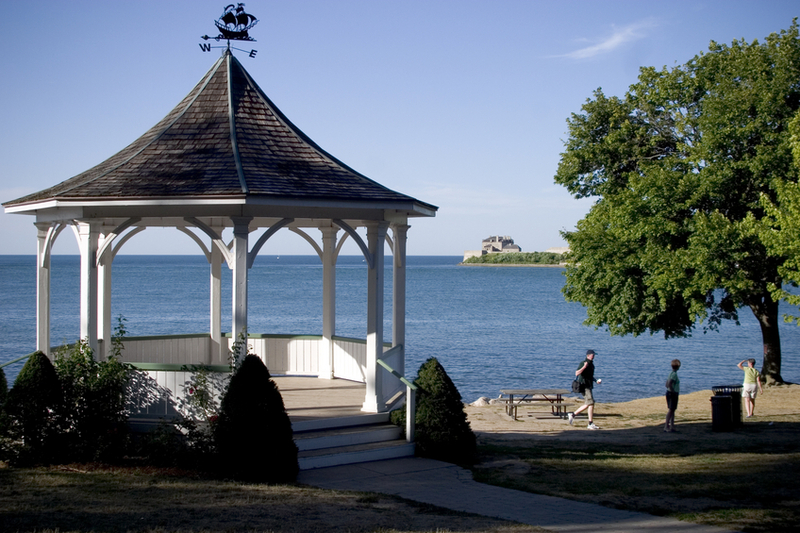 Niagara-on-the-Lake, often called the “Prettiest Town in Canada”, was the first capital of Upper Canada. 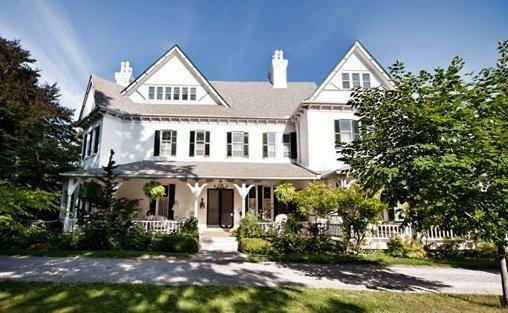 Niagara on the Lake is well known for it’s many bed and breakfasts. Each bed and breakfast is licensed and has qualified hosts doing their best to provide a superior value bed and breakfast experience. Our unique availability and amenities searches will let you save time in finding the Niagara-on-the-Lake B&B that has the basics you want. Detailed pictures and information for each of these Niagara-on-the-Lake bed and breakfasts will help you make a choice to suit your budget. A short drive along the scenic Niagara Parkway, beside the beautiful Niagara River, leads to historic Queenston Heights and world-famous Niagara Falls. The town’s famous cenotaph landmark is best known as the Clock Tower. 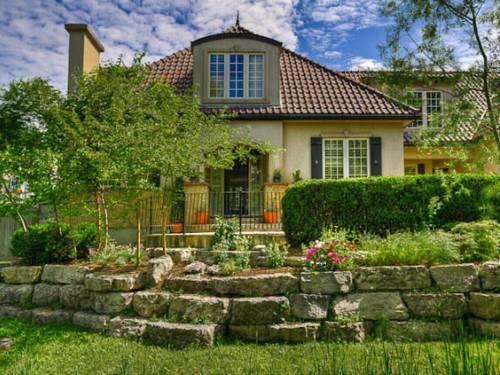 Here is the top 10 Niagara on the Lake bed and breakfasts as rated by Google reviews. Situated just minutes from downtown Niagara-on-the-Lake in Old Town, six short blocks from Queen Street which is our main street and only 10 blocks from the Royal George theater. 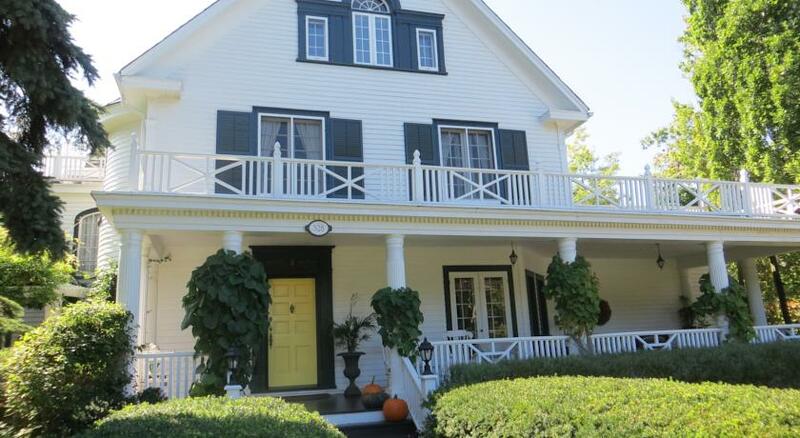 Experience Old World charm and elegance in this outstanding Niagara Bed and Breakfast. • 3 elegantly appointed guest suites with gas fireplaces • Ensuite bathrooms with Jacuzzi or whirlpool tubs • Delectable full breakfast daily • On-site parking • Free high speed WiFi Maria’s bed and breakfast has been a successful bed and breakfast near Niagara Falls Ontario for several years now. We offer our guests beautiful suites that are unique, private and spotless. A stay at Maria’s B&B will set the tone for relaxation & romance. We offer three spacious and tastefully furnished BB guest suites designed for long stays and special occasions, with king beds, sitting areas, gas fireplaces, en-suite bathrooms with Jacuzzi or whirlpool tubs, plush robes, mini-bar fridges, cable TV, DVD CD players, phones, WiFi and a carafe of distilled ice water. Maria’s Bed and Breakfast is committed to ensuring your stay is comfortable, memorable, relaxing, convenient and ultimately enjoyable from the moment you check-in until you check-out. 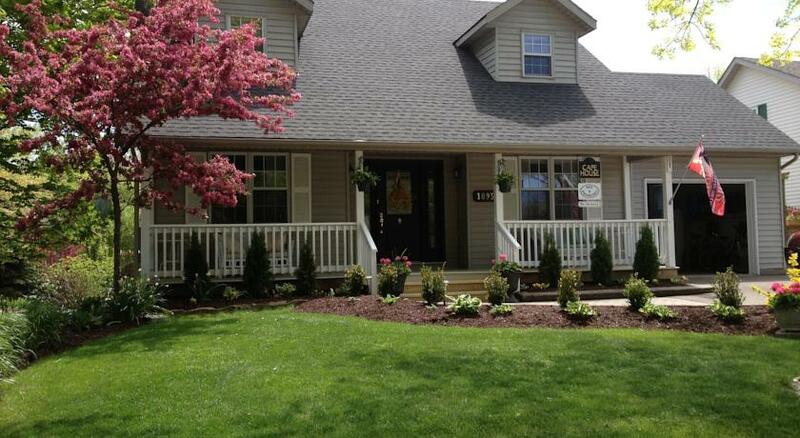 This Niagara Falls Bed and Breakfast is located on the scenic River Road on the banks of the picturesque Niagara River Gorge. From the bed and breakfast, you are just a short walk to the Niagara Falls, casinos, Clifton Hill tourist area and many of the other attractions Niagara Falls has to offer. Built in 1908, Greystone Manor was converted into a bed and breakfast guest house in the early 1990’s. It is fully licensed and inspected by the City of Niagara Falls. Your host, Rob, purchased this bed and breakfast in 2008 and has spent his days restoring this historic century home to it’s original splendour. Wherever possible, Rob has restored and retained the original architecture of this home, including the original hardwood floors, crown mouldings and intricate woodwork. All of the guest rooms are spacious, offering queen size beds, central air conditioning with in-room controls, private ensuite bathrooms, wireless internet access, flat panel TV-DVD players with premium cable TV and many other amenities. Our guest rooms individually offer other features, such as a private entrance from the front yard, views of the Niagara River Gorge or French doors that lead to a second level balcony. In the calm of the morning or evening, you can hear the Falls rumbling with their immense power from the grounds at Greystone Manor Bed and Breakfast. In the morning, guests gather in the grand dining room for a full hot breakfast and great conversation. Rob, as any other dedicated bed and breakfast owner could, can offer suggestions of the things to do and see while you are in Niagara Falls. 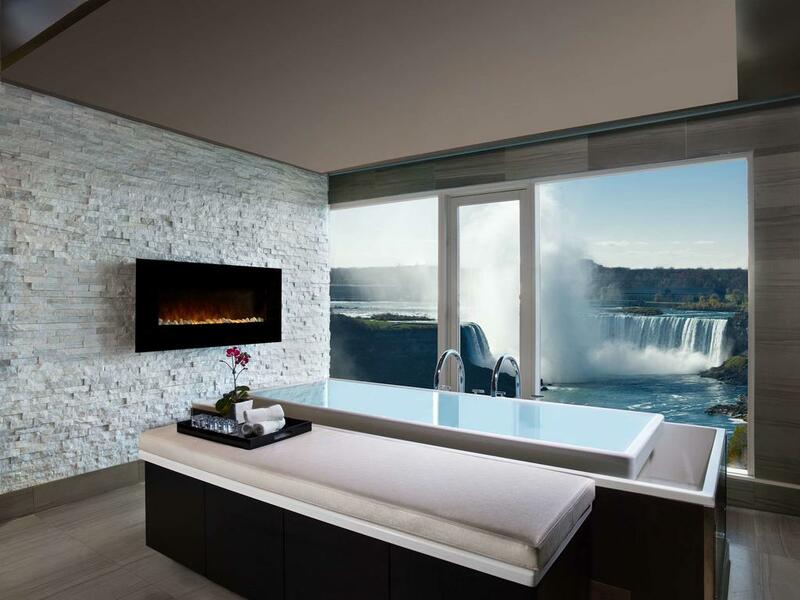 To take full advantage of your Niagara Falls holiday, it would be best if you could plan to spend a few days here. Check out the “Attractions” link at the top of this page to see a sampling of activities and things to do while you are visiting Niagara Falls. The Niagara Falls themselves, (American Falls, Bridal Veil and Canadian Horseshoe Falls) offer a spectacular show in every season. At night, the Niagara Falls are lit up with coloured lights to offer a much different view from the daytime. During the summer months, there are also fireworks displays scheduled providing an added bonus dimension to the impressive Niagara Falls. The fireworks, during peak season, are usually on Wednesday, Friday and Sunday nights. 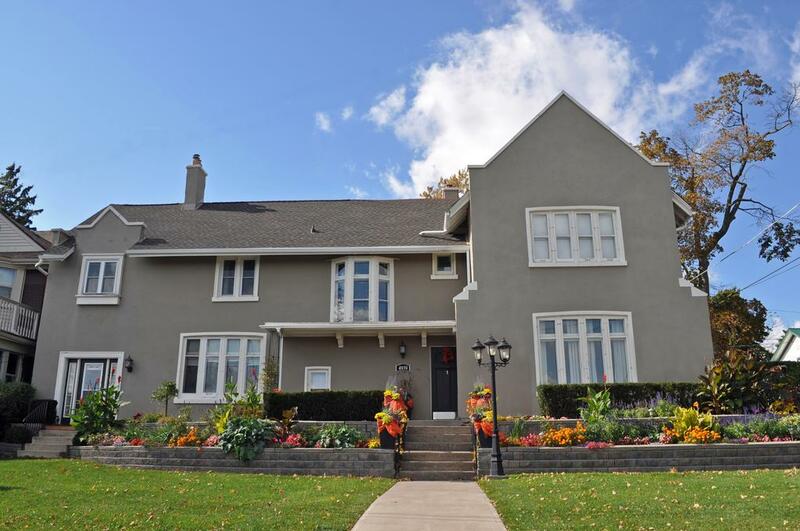 Greystone Manor Bed and Breakfast offers convenient parking at the rear with access off of Simcoe Street. For those inclined, many of the attractions are only a 15-25 minute walk away. The People Mover public transportation system also stops on River Road, just a few doors down from this bed and breakfast. You may purchase a one-day pass and travel to and from the attractions and Greystone Manor Bed and Breakfast all day for one low cost. Of course, you may also enjoy taking your car for a drive along the scenic Niagara River Parkway and stop at the many historical sites, orchards, wineries along the way to Niagara-on-the-Lake or to Fort Erie. 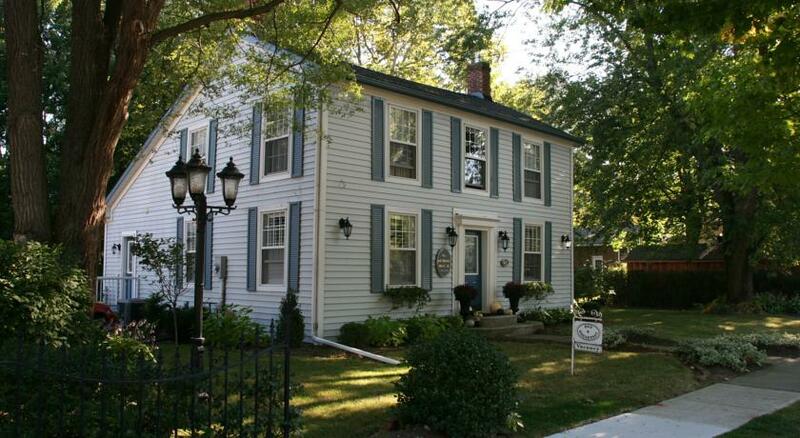 Williams Gate Bed and Breakfast Private Suites Williams Gate Bed & Breakfast Private Suites is conveniently located in the old town of Niagara-on-the-Lake. The suites are equipped with a kitchenette that includes a fridge. Suites have private entrances and seating areas at the Williams Gate Bed & Breakfast Private Suites. The suites are uniquely decorated and have coffee-making facilities. Guests can enjoy the homemade breakfast served en suite. The bed and breakfast also has a garden. Williams Gate Bed & Breakfast is less than a 10 minutes’ walk from the Main Street Clock Tower of the historic town centre of Niagara-On-The-Lake. Shaw Festival Theatre is 1 km from the bed and breakfast. Lakelands bed and breakfast will make every effort to accommodate those with special dietary needs if notified in advance. La Toscana di Carlotta at Burns House is one of the oldest homes in Niagara-on-the-Lake, whose deed dates back to 1793. Local historians say it started off as a home for a British army officer, only to be razed to the ground with the rest of NOTL by retreating American troops in the war of 1812. It was among the first few homes to be rebuilt in 1818, initially as an inn of sorts, a guest house, and was then bought as a family home by local merchant Joseph Burns. And today? This quaint colonial home gathers its 200-year history and meets the hospitality of Tuscany. A rebirth of sorts under the auspices of Carlotta Cattani, a Florentine who has spent most of her life welcoming and entertaining guests, and her husband, Zuhair Kashmeri. We invite you to experience Tuscany in NOTL – everything from Italian breakfasts to Italian linen and amenities… but most of all Tuscan hospitality! 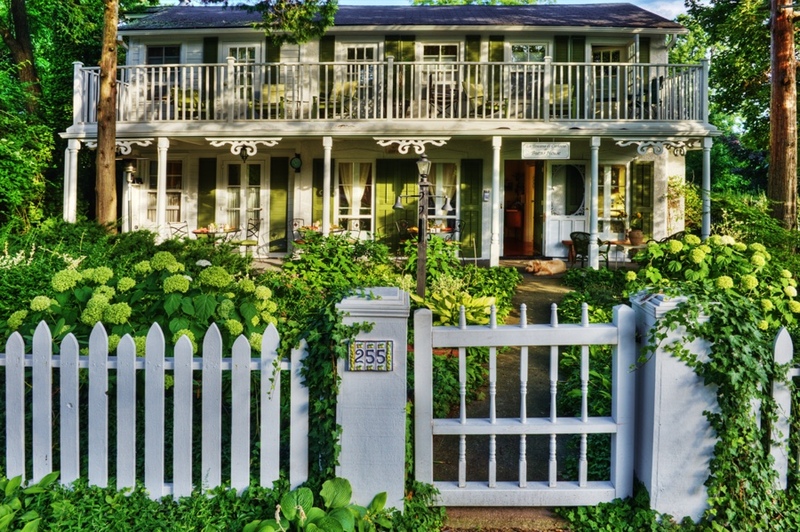 This charming historic Niagara-On-The-Lake bed and breakfast has been newly renovated and redecorated to offer our guests a relaxing, comfortable and memorable visit to “the prettiest town in Canada”. We are a short stroll to the Shaw Festival Theatres and the quaint downtown shops, and offer quick access to the hiking trails, bicycle trails, and wineries. Guests rave about the gourmet 3 course breakfast, served daily at 9:00. As well, fresh home-baked goods, coffee and tea are available from 7:30. Experience the charm of Niagara-on-the-Lake during this festive holiday time. Visit some of Niagara-on-the-Lake’s grandest homes, all decked out for the holidays, on the Christmas House Tour. Experience the Candlelight Stroll around town, the Santa Claus Parade, the Shaw Festival’s reading of “A Christmas Carol”, Holiday concerts, and more. The original structure of The Butler House was built by Nat Barnum sometime around 1787-1789 as a one room cabin (which is the present guest living room). No streets had been laid out at this point in time, and the cabin’s front door would have been between the present living room and dining room. It is believed by the Historic Society that the original cabin was used by Col. John Butler, the leader of Butler’s Rangers, as the secret meeting place of the militia. During the War of 1812-1813, it is possible that the cabin was unoccupied, because it does not appear to have been burned by the Americans in Dec. of 1813, as was most of downtown Niagara-on-the-Lake. Much of the present structure is a result of an expansion in 1814. The original pine floorboards used on the second floor are of random width, up to approximately 20 inches, and are said to have been salvaged from the ruins of the burning of Niagara-on-the-Lake during the War of 1812. Guests are treated to original exposed beams, wide plank pine floors, and many other period features, yet get to experience all of the modern conveniences such as air conditioning, private baths and a beautiful fireplace in the guest parlour. The Grand Victorian is aspectacular Victorian mansion with Queen Anne Revival influence. Original architectural details include 12′ ceilings, stained glass windows and fireplaces throughout. Original wood work include an Oak Chippendale staircase descending into the Great Hall with original Oak ceiling. This grand mansion is located on the scenic Niagara Parkway, set in an acre and a half of gardens, surrounded by the vineyards of the award winning Reif Estate Winery, across from the Niagara River, all of this and more provides an ambience reminiscent of days gone by. Enjoy Peace, pampering and history enfold you at the Grand Victorian where the lawns ramble to gardens and the welcome is as warmly traditional as a glass of wine by the parlor fire. The Grand Victorian is a lovely place to stay when visiting the Niagara Region. The grand principal rooms, some with fireplaces for the winter, offer many places to sit and enjoy the ambience. The wrap around verandah, offers warm weather solace, curl up with a book or simply enjoy the view. For the more energetic, take a stroll or bike ride by the river, a swim in the pool or a game of tennis. Shaw Festival theatres, dining and shopping are only minutes away, The Niagara Casino a leisurely drive along the parkway. Step onto the verandah of this elegant Victorian manor and return to the tranquility of the 1880’s. A special and unique experience awaits you at Lakewinds, a recently restored Victorian manor, offering the best of bed and breakfast experiences. Situated on a quiet acre of extensive flower gardens and mature trees, Lakewinds offers you unparalleled views of the golf course beside the lake. A short walk away is the centre of the old town where you will find the theatres, wonderful shops, and restaurants to suit every palate. Beautiful Niagara-on-the-Lake is rich in history and home to the ever popular Shaw Festival, presenting extraordinary theatre from mid-April through mid-November. Tours and tastings are offered at many estate wineries so all can appreciate the area’s burgeoning reputation for fine wines. 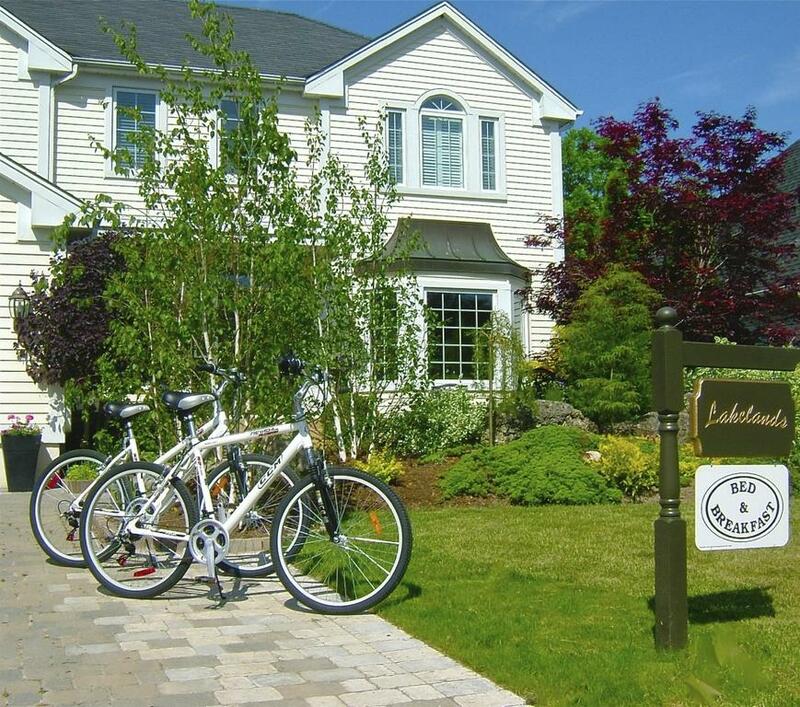 Golf, tennis, and miles of walking and biking trails await the active visitor. Just a short drive away, on an incredibly scenic road along the Niagara River, is one of the natural wonders of the world – Niagara Falls. Other area attractions include Casino Niagara, the Butterfly Conservatory, and historic Fort George. The house was started in 1880-81 and became the summer home for Mr. Gustav Fleischmann of the famous Fleischmann’s yeast company in Buffalo N.Y. Originally the house, named “Clarette” at that time, stood on the entire 4-acre block with gardens and stables at the rear. Staff cottages and a guesthouse can still be found on properties adjacent to the original manor. The home has glorious views of North America’s oldest golf course, where play started in 1875. Even then people wanted to build a home on a golf course! Over 100 years later, Jane had a dream that changed both our lives and the destiny of this manor. Jane recalls: “I saw myself in the home in which I would grow old! In this dream I saw my eldest daughter as a young mother, children in tow, walking up a garden path lined with peonies with myself and Steve standing on a large white verandah, welcoming them.” The search was on! Several months later, while cycling through Niagara-on-the-Lake, the then empty house was discovered and the conversion to Lakewinds began.